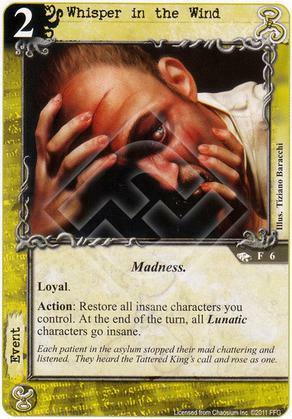 Flavor Text: Each patient in the asylum stopped their mad chattering and listened. They heard the Tattered King's call and rose as one. Run this with Patron of the Arts and a bunch of Lunatics. You can trigger all of your loonies every turn.